STOP Project – Women of Color Network, Inc. This toolkit is the culmination of STOP Administrator data collection, Action Meetings, and Site Visits led by Senior WOCN Consultants. The WOCN 3-Tier System Toolkit has 3 Sections listed below. We recommend for your first visit that you start with Section I and continue in number order. The first two sections provide the needed context for the toolkit, and provide crucial guidance in reflection, self-examination, and planning before implementation. We developed this toolkit to codify learnings and to support further STOP Administrator engagement with marginalized or “3-Tier populations”. We are happy to offer this online toolkit featuring the 3-Tier System with hopes that it will be a helpful vehicle to STOP Administrators and their local programs and grantees! Aleese Moore-Orbih and Purvi Shah, WOCN STOP TA Consultants Zoe Flowers and Smita Satiani, and WOCN staff Senior Director Tonya Lovelace and Project Administrator Rebecca Balog. WOCN, Inc. has worked in partnership with the Alliance of Local Service Organizations (ALSO) and the Office on Violence Against Women (OVW) over the past several years to assist STOP Administrators in better identifying and reaching underserved populations. The Violence Against Women Act (VAWA) has mandated since 2005 that STOP Administrators include members of underserved populations in your state planning process, and that funding for organizations whose mission and purpose is to reach these communities is prioritized. WOCN was asked in 2009 to write an article for the STOP Administrators Corner periodical to provide clarity about including underserved populations in STOP planning. Un-Served Populations: This category is designated for those populations who are so marginalized that they are not reached at all. This is also indicative of those populations who are emerging and who are not yet visible in our services or who are there in very small numbers. Underserved Populations: Populations in this category are those who are growing in number in our services and have minimal access but who need more services and approaches that meet their specific needs: therefore they remain ‘under’-served. Inadequately Served Populations: This category speaks to those historically marginalized communities who may be highly visible or even overrepresented in number, but who are still in need of improved quality of services that will help address cyclical challenges their populations face such as “one-size fits all” strategies that disregard historical barriers and culturally-specific experiences. Also, the fact that specific populations are “overrepresented” in services demonstrates a need for enhanced support to these communities. WOCN was given the opportunity to then speak to STOP Administrators at a 2010 STOP Administrators Annual Meeting to further discuss and share this expanded approach to underserved populations initially explored in the 2009 article. Later that year, OVW funded WOCN to develop specialized programming and tools for STOP Administrators to assist in improving and enhancing your outreach to underserved populations. WOCN took the expanded approach shared in the 2009 article and coined it “The 3-Tier System” which has become the driving force behind WOCN’s TA to STOP Administrators. 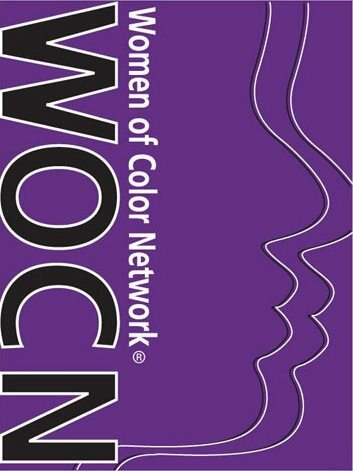 It has been lauded by the majority of STOP Administrators who have attended WOCN Action Meetings or who have invited WOCN to conduct onsite trainings within states and territories as an extremely useful system that has honed and enhanced the ongoing quest to better reach marginalized communities. The WOCN 3-Tier System is an expansion of the term “Underserved Populations” and breaks the definition down into three categories: (1) Un-served; (2) Underserved; and (3) Inadequately Served Populations. The term “underserved” represents a wide spectrum of needs. Expanding and enhancing our understanding and approach to include the 3-Tier definitions (Un-served, Underserved, and Inadequately Served) enables us to specify historical or emerging systemic and societal or community-based barriers – and then respond more precisely to these needs and barriers with effective services and advocacy. What is the Purpose of the WOCN 3-Tier System Toolkit? The purpose of the WOCN 3-Tier System Toolkit is to assist STOP Administrators (SAs) in identifying and reaching marginalized populations within your states and territories. Use of the Toolkit concepts, approaches and resources will also help SAs in fully complying with the Violence Against Women Act (VAWA) requirements and supporting equitable services and outreach for the full spectrum of survivors. Through WOCN’s work with STOP Administrators, including through Action Meetings, Site Visits, Technical Assistance (TA), and this 3-Tier System Toolkit, we are striving to enhance STOP Administrator identification processes, relationship-building TA provisions, and funding to 3-Tier System populations. What is the Impact of Using the 3-Tier System? The process of increasing and improving the collaborative and funding partnerships between STOP Administrators and CBOs serving culturally-specific communities will greatly increase capacity to comply with VAWA, which requires 10% of the victim services money in the STOP formula be distributed to culturally-specific community-based organizations providing services that specifically work to end violence against women and families. Furthermore, the 3-Tier System framework enables us to distinguish specific needs across populations in order to more effectively shape service and advocacy strategies and responses. In particular, this approach offers a closer attention to demographics, the needs of small and emerging populations, and ways to form and sustain direct productive partnerships to ensure community connections and respond to the varied needs of diverse populations. While the work of distinguishing underserved populations is not easy, the 3-Tier System is essential to avoid a “one-size-fits-all” approach to reaching all survivors. Knowing that STOP Administrators are the experts in your day-to-day work, we began our TA by compiling information on what Administrators know, believe, and seek to enhance in serving un-served, underserved, and inadequately served populations (the 3-Tier System populations). Through an online survey and listening sessions, we tapped a rich fount of information. We thank each of you who participated in these sessions. An overview of key findings related to challenges and promising practices from your expertise is offered below and in the STOP Administrator WOCN Data Summary. Working together in this way, we can embolden the whole field. In November 2011, WOCN – in partnership with Wider Opportunities for Women (WOW) – launched a joint online anonymous survey for all STOP Administrators. The purpose of the survey was to gather first-hand information on your needs in developing best practices and barriers in providing assistance to un-served, underserved, and inadequately served survivors of domestic violence, sexual assault, dating violence, and stalking. Twenty-four respondents participated in the online survey, meaning that about half of the states and/or territories were likely represented. The surveys uncovered key findings on challenges and successful promising practices including those listed below. Furthermore, we conducted individualized Listening Sessions with STOP Administrators, who offered deeper examinations of and solutions to these issues as provided in the next section. -Providing proposal and grant-writing workshops to CBOs. -A gap between provision of TA and a desired outcome for strong proposals and awarding funding to community-based organizations. In the summer of 2012, WOCN consultants collected individualized feedback from 17 STOP Administrators from across the nation via Listening Sessions. As with the survey, the purpose of the listening sessions was to afford STOP Administrators the opportunity to elaborate on promising practices and lessons learned, assess barriers, and share feasible steps to effectively include 3-Tier populations in the STOP planning, funding, and implementation process. Specifically, WOCN mined tips and practices for building networks with community-based organizations, enhancing reach in underserved communities, and responding to the needs of emerging populations. -Gathering input from board members representing agencies who work closely with CBOs. Need for more spaces among STOP Administrators for information sharing on promising practices and successful methods for problem-solving these challenges. -Reshaping of Grant-making Strategies to increase access to funding for those Community-Based Organizations (CBOs) that directly serve these communities. The approach introduced in the 3-Tier System Toolkit is very useful when considering decision-making in a strategic planning process. We highly recommend using the 3-Tier System Toolkit in relation to priority-setting activities, but you will also see other suggested applications. In particular, through the implementation of the concrete strategies and promising practices offered in the Toolkit, SAs can improve and increase sustainable and effective partnerships with CBOs serving all marginalized populations. The WOCN 3-Tier System Toolkit will enhance the capacity of SAs to identify, outreach and resource CBOs serving 3-Tier populations and include CBOs and 3-Tier populations in the STOP planning and implementation process which will better prepare these groups to access, participate, qualify for and receive OVW program funding. How Do I Use the WOCN 3-Tier System Toolkit? There are no specific rules about using the WOCN 3-Tier System Toolkit. All content is available to be used in any way needed. However, WOCN requests that SAs reference the sources when duplicating, reproducing, or circulating any Toolkit materials. We hope that this Toolkit enables STOP Administrators and the programs in your State or Territory to reach more survivors and deliver vital, relevant, accessible, and respectful support needed across marginalized communities. In What Ways Can I Use the WOCN 3-Tier System Toolkit? -Provide and/or deliver education, training, and/or resources to STOP grantees, service providers, and CBOs about using the WOCN 3-Tier System in programs and processes. No matter how you use the 3-Tier System Toolkit, WOCN is confident it will result in improved, innovative, more equitable, and successful planning and implementation of OVW funds to 3-Tier populations. Please let WOCN hear how you end up using the Toolkit as well as what you find useful and what you would like more information about. We are excited to partner with you to further reach and impact in 3-Tier populations: together we can help make our communities safer and stronger. There are specific and important steps recommended for State Administrators to engage, follow, and implement when working to improve your identification, outreach, and resourcing of 3-Tier System Populations and the CBOs serving these communities. Below are 9 specific steps that will bring success, but not overnight – they are part of a larger process of change. Making the necessary changes to effectively and equitably serve 3-Tier System populations requires a shift in paradigms that help define approaches to developing programs and services for all survivors. Change takes time and work but can be implemented a little at a time each day. The 3-TS Toolkit, through its 7 Essential Tools of Promising Frameworks and Practices, will educate, equip, challenge, and inspire you to take, learn, own, and act upon each of the very necessary 9 Steps to better serve all populations in your state or territory. The 9 Steps are not meant to establish unreachable goals, impose judgment, or promote competition among STOP Administrators. They are offered as a roadmap to assist in developing a well-planned, purpose-driven, and strategic approach to fulfill your mission to ensure services reach all survivors in your localities. Step 1: Reflect: Integrate ongoing reflection exercises highlighted in this Toolkit throughout your process. Step 2: Use A Social Justice Lens: Frame the work utilizing social justice approaches to examine oppression, identify areas of equity and non-equity, be more aware of systems of power, and consider ways to level the playing field for all survivors. Step 3: Expand the Definition of Underserved: Utilize the 3-Tier System to deepen your understandings of marginalized populations. Step 4: Become an Aspiring Ally: Make a plan to build and/or improve relationships with representatives from 3-Tier System Populations through self-examination and an evaluation of how privilege and dis-privilege based on identity impacts survivors and is reinforced by those who serve them. Step 5: Collaborate: Join forces with survivors and community representatives from the 3-TS Populations to enhance outreach and support for marginalized communities. Step 6: Utilize Technical Assistance: Draw upon the expertise of national, state, or local technical assistance providers to assist in your efforts. Step 7: Build Up Your Resources: Develop a library of relevant and culturally sensitive information on barriers/challenges, promising practices, and case studies/tips for supporting survivors from marginalized communities. Step 8: Get Ongoing Education: Continue seek out and participate in any needed skills-building opportunities and relevant trainings to increase your knowledge of reaching and serving marginalized populations. Step 9: Build Capacity: Develop and implement a plan to improve your capacity to reach and fund CBOs serving 3-Tier System communities, and to raise the capacity of community-based CBOs serving these communities to write and submit winning grant applications and to successfully administer federal funds. Section II addresses the importance of considering how you approach or come to the work of reaching 3-Tier populations, and identifies how mainstream philosophies, programming and strategies alone cannot effectively reach and resource underserved populations. This section challenges you to examine your perceptions about identity and pushes you to further understand yourself, the purpose of your work, and how you define success in reaching 3-Tier populations. How Do I Utilize a Social Justice Framework (Methodology/Core Values) in Working with 3-Tier System Populations? Since violence does not occur in isolation, we must respond with services and advocacy that reflect integrated and intersectional approaches in order to address diverse, complex circumstances. Too often, those in organizations work in silos and miss opportunities for connecting issues, resources, and best practices for supporting survivors and mobilizing responses in a holistic fashion. Survivors’ experiences are textured by intersections or overlapping identities – whether it is immigration status or economic need or limited English proficiency or racism. As a result, services responses that utilize a broad social justice framework can more effectively grasp and address the complex challenges facing survivors from 3-Tier populations. As Marilyn Cochran-Smith, a leading scholar in education, notes, a social justice framework is one that “actively address[es] the dynamics of oppression, privilege, and isms, [and recognizes] that society is the product of historically rooted, institutionally sanctioned stratification along socially constructed group lines that include race, class, gender, sexual orientation, and ability among others.” Social justice in violence prevention and response involves utilizing self-reflection, understanding the dynamics of power and oppression, and working to respond to and challenge inequities faced by marginalized communities and identities. Utilizing a social justice lens means that we reflect on how people, policies, practices, and institutions may be used to empower rather than re-victimize those impacted by those in decision-making roles. Through a social justice framework, we act to resist unfairness and injustice while enhancing self-determination and possibility for survivors. Those working with 3-Tier populations can continually seek to counter oppressive, systemic patterns through self-reflection and Empowerment-Based Advocacy (EBA) rooted in a social justice framework. EBA is based on the belief that people are already empowered and are the experts in their own lives. It works to return control to communities by inviting them to gather, organize, and build their collective strength. Through EBA, we can work to ensure that the power of survivors is embraced and acknowledged, and that those within systems do not presume to know what is best for survivors and communities. EBA also helps us not act from the assumption that survivors are incapable of making decisions but instead, focus on the resilience and the strengths of survivors and communities. -Connecting local needs across regional, national, and international borders. A useful community-based research and change project is the Hmong Women’s Dialogues Project: Our Voices Create Our Future. In 2005, the Hmong Women’s Action Team (HWAT) held a retreat and conducted learning circles with women to capture their visions for a future without gender violence and gender equity. Through these conversations, the HWAT documented individual, gendered, community, and external challenges as well as promising practices for response in each of these arenas. Through this mapping, the HWAT has been able to present promising strategies ranging from encouraging survivors to tell their stories, to supporting women’s leadership, to engaging men in gender equity efforts, to ensuring organizations that serve the community are supported. With such information, it can be easier to envision responses to end violence that may or may not include criminal justice engagement or shelter – and allow for the spectrum of survivors’ needs and options. In this vein, STOP Administrators can either work to conduct or enable such community-informed assessments and responses as well as support the organizations that work through such a community-rooted model. The use of a social justice framework enables us to reach and serve all survivors while acknowledging the complexity of survivors’ lives. In so doing, we can understand the impacts on survivors of such circumstances as the lack of transportation options which may diminish self-sufficiency or deporting a perpetrator who may be the family’s economic bread winner. When working across the realities of these intersections, we can better safety plan, create effective responses, and enable the necessary actions to achieve survivor safety and security. Through knowing and comprehending the importance of social justice frameworks, STOP Administrators can support and build the capacity of programs to operate with such lenses. In so doing, STOP Administrators can support agencies to reach the broadest spectrum of survivors effectively. -Divided systems and advocates who are habituated to working in isolation or with one singular issue. -The suggestion of shelter or use of the criminal justice system as the immediate response when these are not always a viable or comfortable option for 3-Tier survivors. -Do your own research about power and privilege and use this information daily in your work. -Engage your STOP Planning committee in early discussions about social justice and establish this as the guiding framework for planning and implementation. -Use the Introduction to Underserved Populations powerpoint and discuss such “culture” and consider the various cultures of 3-Tier populations. Look at “mainstream” and “marginalize(d)” as nouns (states of being), as adjectives (descriptors) and as verbs (action terms) and consider how individuals and groups can be perceived and ultimately relegated to either the mainstream or the margins. Examine how systems can further “underserve” individuals and groups as a by-product of being marginalized. Discuss the commonalities and differences among underserved populations, and finally, review and add to the recommendations for services and organizations along with recommendations for individuals in improving their approaches to working with underserved populations. For an example of the use of social justice within government practices, visit http://www.seattle.gov/rsji/. The City of Seattle has implemented a Race and Social Justice Initiative to end institutionalized racism and race-based disparities in City government. Read their report on Racial Equity in Seattle for 2012-2014, and read such helpful resources as their Racial Equity Toolkit. How Does an Ongoing Practice of Reflection Help Effectively Reach & Provide Resources to 3-Tier Populations? Introduction: What is Reflection and Why Do It? Self-reflection, an examination of one’s own thoughts and feelings, requires maturity and a desire to know who you are and why you do what you do. It can reveal new self-knowledge that can have a positive impact on your decision-making process and outcomes. For our purposes, reflection on one’s thoughts, feelings, and choices can lead to stronger and more innovative decision-making. Reflection is Step One in the innovative work of effectively reaching and resourcing 3-Tier Populations. When making decisions from a place of power, relative to those impacted by such decisions, you must first pause for self-reflection. When working alone, the issue at-hand will most often become blurred and/or unfocused and will result in a diminished capacity to make the most effective decision. Therefore, decision-makers must always recognize that scanning the environment for knowledge of history, data, and voices of survivors – coupled with the voice and work of on-the ground advocates – will bring the issue back into focus. Inward and Outward Reflection is a process utilizing self-reflection to first listen and learn the outward context/environment you are collaborating with and/or serving, and then, second, a return to new self-reflection using the newly-acquired knowledge. Decision-making that mainly relies on a single individual’s experience is an insufficient method for reaching and resourcing 3-Tier populations. Effective reflection of the environment/context requires having strong relationships with representatives of the 3-Tier populations to hear and understand their specific and unique knowledge and experiences. Please see the WOCN Reflection powerpoint to learn this process of reflection. -The desired outcomes of State Administrator work. -How could my beliefs be a resource or a roadblock to the mission? Bracket or pin this knowledge for later as a part of the information to use in your decision-making process. Then gather information from 3-Tier populations and work to build effective aspiring allyships. You can also utilize the WOCN Reflection Tool with your Team and/or Staff. Finally, consider Risk, Responsibility & Impact in Decision-Making. Remember you are not alone. -Bring clarity to the desired outcomes. -How do I know what I think I know about the 3-Tier populations? -How does the above assessment process influence, or not, my decision-making process and outcomes in strategic planning for effectively reaching and resourcing 3-Tier populations? -Prioritizing a reflection process on all agendas where planning and implementation decisions are made. -Maintaining trust in others and the process. -Schedule time in your calendar for periodic reflection (ie. once every two weeks, once a month), and treat it as any other professional appointment. Use this time to reflect on 3-Tier populations in your state or territory, plan improved outreach and involvement of these populations, and to write down concrete, short- and long-term steps to achieve improved outreach. -Interview staff from your office, key leaders from other offices and programs, and develop a list of reflections from these interviews that you can use as a guide for self-reflection and developing action steps. -Take the time to reflect upon the articles and materials in this toolkit on social justice (see header Essential Tool #1) and aspiring allies (see header Essential Tool #5), and choose a colleague to discuss your understanding of these materials, how they relate to your personal and professional lives, and identify what steps you will take to infuse this understanding into your daily activities to challenge any fear, prejudice or bias you may carry. -In the WOCN Manual “Cultural Competency, Sensitivities and Allies In the Anti-Violence Against Women Movement: A Resource Manual for Advocates and Allies Reaching Out to Underserved Populations”, review the “Introduction: What is Cultural Competency?” chapter, examine cultural competency as a part of a “Cultural Spectrum” and reflect upon where you as and individual and your office may be in the spectrum currently. Reflect on where you want to be in the future. See where your location in the cultural spectrum further places you and your office in the “Stages of Cultural Service Delivery.” Develop and reflect on your plan for moving further in the Cultural Spectrum and the Stages of Cultural Service Delivery. Essential Tools 3-7 Offering "Promising Practices"
Section III contains promising practices that will assist in improving reach to 3-Tier populations. Essential Tool #3 provides instruction on identifying 3-Tier populations in your states and territories, and may help to generate new knowledge, trigger new questions, and unearth incredible potential for new and innovative strategies to effectively reaching and resourcing underserved populations. Section III will guide and help you develop the relationships that can produce access and resource sharing. WOCN has developed a more expansive and enhanced terminology beyond the term “underserved” to reflect the changing demographics and needs of shifting populations within the U.S. Using this 3-Tier terminology system (“un-served,” “underserved,” and “inadequately served”) will help better identify a spectrum of needs within populations, taking into account geographic location, racial and ethnic populations, faith and religion, sexual orientation and gender identity, language barriers, disabilities, immigration status, age, and other contexts. Inadequately Served: Historically marginalized populations that may be overrepresented as they are visible in large numbers in a state or territory, but remain inadequately served with specific reference to the quality of services and a “one-size-fits-all” approach that disregards the historical and systemic disenfranchisement embedded in each system because survivors’ experiences and contexts are perceived as barriers. It is common for these larger populations to be perceived as adequately served due to their visibility and sheer numbers within their States or Territories, but this overlooks the history of marginalization and the need to acknowledge it. Also, the fact that specific populations are “overrepresented” in services demonstrates a need for specific and enhanced support to these communities. The intersecting and specific needs of 3-Tier populations may be more effectively served through culturally- and linguistically-relevant service provision that includes or is exclusive to providers that are representative of those populations. Thus, it is important that community-based programs that are responsive to the histories of these populations receive funds to enhance their services. Applying the 3-Tier System will help improve the identification of marginalized populations in your state, district, or territory and can help in all stages of your state planning process. You can get started utilizing this system with the step-by-step Identifying 3-Tier Populations Worksheet by WOCN. -Review documents in the Resources area. -Utilize the inward and outward reflection exercises to ground your goals, knowledge, and arenas of further exploration. -Start with your Team/Staff to review your state or territory’s Domestic Violence and/or Sexual Violence services data. -Using the definitions from the chart of un-served, underserved, and inadequately served populations, brainstorm with your Team/Staff to re-define the populations in your State, Territory, or jurisdiction as un-served, under-served, or inadequately served. -Choose one population established from Step Two and add other intersecting identities, factors, contexts, and/or attributes such as gender, mental health disabilities, ethnicity, sexual orientation, etc. Repeat as necessary. -Help you better articulate and communicate the intent of your funding and RFPs. Many STOP Administrators have found relationship building and partnership development a concerted endeavor, but underscore its necessity to ensuring the input of 3-Tier System populations and the CBOs that represent them in order to move forward. Remember, there are challenges and barriers that may show up in various ways, but they are not impossibilities and should not halt the process. -Examining demographic data from your constituencies from the last 3-5 years while assessing through program reporting data the populations you are actually serving and at what level. These promising practices can be included as part of the implementation planning. -Promote diverse models to serving 3-Tier System populations. The challenges STOP Administrators face when identifying and involving marginalized populations in your planning process are many, as noted in the surveys and listening sessions data WOCN collected. Some of these barriers include a lack of resources, time, and institutional support. There are also specific challenges STOP Administrators have expressed, such as logistical hurdles with ensuring equal outreach across the state, a lack of community response to outreach and collaboration efforts, limitations of travel policies and resources, and frequent staff turnover at community-based organizations. -Follow the steps in the Identifying 3-Tier Populations Worksheet. -Utilize the activities outlined in this section so that staff in your office and your STOP Implementation Planning committee can draw collective conclusions about the 3-Tier populations in your state or territory. Develop a collective short-and long-term plan with assignments to ensure that action steps are completed. -Utilize conference call or video conferencing when necessary to hold these discussions and make progress while avoiding logistical hurdles, lengthy coordination times, and limitations in funds to support in-person meetings. -Set up a mini-orientation with any new members, including those in community-based programs where there may be high turnover. Review the results of the exercises that the STOP Implementation Planning committee or individual members completed before action steps were developed so that new members are aware of the underlying philosophies. While most survivors have faced discrimination, women of color, Native women, queer people, refugees, and others from 3-Tier populations often find themselves pushed farthest from places where they should be served, supported, and empowered. Faced with unique challenges and barriers to seeking support, and receiving little access to adequate services, survivors often look for assistance from programs in their neighborhoods such as in youth and senior centers, faith institutions, immigrant and cultural centers, or vocational organizations. These programs are often designed to serve the community with which a survivor specifically identifies. Many of these programs have a track record of serving survivors of violence but need opportunity and support so they can plan and strengthen their services. It is crucial to build relationships with such programs and assist them in improving and enhancing their services, ensure that they have adequate resources, as well as to support their ability to evaluate and bolster their community impact. -Identifying all the groups we want to reach out to – and start contacting! -Further trust from underserved populations in order to access services more frequently and regularly. In a WOCN anonymous online survey with STOP Administrators, respondents had a mixed response in identifying new or emerging populations. In response to the question, “Are there any new or emerging populations within your state”, 50% of respondents indicated Yes, 5% said No, and 45% indicated I Don’t Know. The survey results also revealed that there is a recognition among STOP Administrators of the need to involve underserved community members in planning: Only 9% of survey respondents reported Excellent in terms of having representatives of underserved populations on State planning teams while others reported Good (37%) or Average (46%) or Poor (9%). In addition, a parallel 9% reported Excellent in terms of input solicitation of underserved population members. Others reported Good (46%) or Average (32%) or Poor (14%). No one reported “Providing TA for the grant application process to community-based organizations” as Excellent: the respondents reported Good (55%) or Average (25%) or Poor (20%). There is also a gap between providing TA and achieving the desired outcomes of strong proposals and funded work in underserved populations. -Dealing with competing priorities in a difficult economic climate. WOCN defines an ally as a member of a “majority” group who works to end oppression through support of and as an advocate for an oppressed and/or marginalized population, and who examines their own privilege or unearned benefits and practices that further reinforce oppression. At WOCN, we coined the term “Aspiring Ally” as a part of our National Call to Action Project as we believe that everyone can aspire to be an ally, and that the process of being an ally is always developing as it is a lifelong process. -Use reflection skills to ask how would your life in this organization, movement, or work be different if you were not from a privileged groups such as white/male/heterosexual/able-bodied/a manager? -Utilizing implementation plans to enable collaboration and connecting with communities. -Guilt that leads to paralysis and often transfers the responsibility of attaining equality to 3-Tier communities. -Review the WOCN Power and Privilege Packet for better understanding of oppression, power and privilege. -Read over Paul Kivel’s Guidelines for being Strong White Allies and WOCN’s National Call to Action Guidance to Aspiring Allies and reflect on ways that you or your office may lean toward “paternalism” or the policy or practice on the part of people in positions of authority restricting the freedoms and responsibilities of those “subordinate” to them in their supposed best interest (New Oxford American Dictionary). Make conscious decisions to challenge these thoughts or actions, and build relationships with 3-Tier communities so they can speak and act for themselves. -Seek opportunities to talk with others with similar privilege identities and discuss openly any biases and guilt that you may carry. Begin to shift that guilt to places of action. -Read the WOCN Manual “Cultural Competency, Sensitivities and Allies In the Anti-Violence Against Women Movement: A Resource Manual for Advocates and Allies Reaching Out to Underserved Populations” and learn ways to serve as aspiring allies to various communities such as LGBTQ communities, Tribal nations, immigrants and refugees, and women of color. Effective technical assistance (TA) for community-based organizations (CBOs) serving the 3-Tier Populations includes providing context-specific education, training, and resources to build and sustain organizational and programmatic capacity. This could mean TA about everything from strategic planning to grant compliance to coaching on grant writing to program evaluation and reporting. In all cases, at the forefront of this work is TA that equips CBOs to successfully participate in federal and state-level grant systems. Given that 3-Tier populations are often already marginalized, it is vital that TA be designed to challenge and circumvent structural barriers that hinder the sustainability and success of CBOs serving these populations. Through our work with STOP Administrators, WOCN can attest to the fact that many have the commitment, compassion, and capacity to ensure that technical assistance is available to CBOs. But CBOs must know about this opportunity and seek it. During the WOCN STOP Administrator Action Meetings held in early 2013, a State Administrator asked one of the most important questions in regards to providing effective TA for CBOs serving 3-Tier Populations: “Why don’t [minority communities] come?” This question points to the need to examine the larger context of a limited access for and marginalization of 3-Tier populations, as well as the need for new marketing and outreach strategies to enable innovative, intentional, relevant, and successful outreach to 3-Tier populations and advocates. -How do we get CBOs serving the 3-Tier Populations interested and to the TA table? -What technical assistance will best equip CBOs to successfully qualify for, participate in RFP processes, and receive sufficient grant funding? -What is the best way to assess capacity-building needs for CBOs serving 3-tier populations? -Attending a WOCN webinar on Building Successful Relationships. In the efforts of STOP Administrators to expand capacity to reach and resource 3-Tier System populations, innovative strategies of outreach and TA are necessary for program efficacy. The implementation of new TA processes addresses marginalization of culturally specific CBOs from the domestic and sexual violence RFPs. More equitable and open funding processes will change and improve access to relevant and effective services to survivors across the nation and shift the paradigm of “us and them” to a joint effort to end violence across our communities. -Improve your ability to reach your goals to serve underserved populations. -Review the WOCN powerpoint “Addressing Underserved, Un-served and Inadequately Served Populations: Implementing Needs Assessments” presented during the Annual STOP Administrators Meeting in February 2011 in Kentucky. Review slide #6 that shows the “spectrum of need” for 3-Tier populations. Then examine slide #7 which shows the “spectrum of strengths” for 3-Tier populations. Finally, review slide #8, which discusses the difference between “populations” and “communities”. Consider adding to your action steps learning more about the positive aspects, the strengths, and the resilience of 3-Tier communities, and challenging any places in thinking where you may view them only as “populations” and resolve to get to know them as “communities”. -Utilize the WOCN powerpoint “Addressing Underserved, Un-served and Inadequately Served Populations: Implementing Needs Assessments” and consider identifying and partnering with community leaders within those 3-Tier populations you identify in your state or territory and conduct a needs assessment. Invite them to join your STOP Implementation Planning team. Utilize slides #9-13 to plan, adopt methods, identify audience, and ask questions that will help create a greater understanding of the needs and strengths of 3-Tier communities. Use this information to build stronger relationships with these communities and the CBOs that serve them. -If you have a small team within your STOP Office, take the time to develop ways to better manage and administer grants. Utilize national technical assistance providers to help review your systems for grants management and consider viable alternatives to better streamline your collective work. -If you are located within a rural state or territory, seek assistance to examine geographic limitations and any socioeconomic factors that further entrench these challenges, and identify any solutions that may help mitigate these challenges, including amplifying any strengths that may also exist within these remote localities. Especially as funds tighten and needs increase, it is difficult to reach all the communities we seek to support. Furthermore, it is often difficult to incorporate new groups in funding cycles. Still, it is important for STOP Administrators to provide equal access to participation in potential funding streams. For 3-Tier populations, the process of developing organizational and infrastructural capacity can take a number of years. As one STOP Administrator noted, a focus on long-range planning and relationship-building as well as attention to CBO development is critical: “These projects take time to build and time to be successful. Funding cycles have to allow for time and costs that build success.” Essentially, there is no quick fix solution for ensuring that funding reaches across our communities. However, with commitment, time, and innovative RFPs & funding practices, we can get closer to expanding our reach to all communities. -Conducting site visits every 3-6 years to deepen relationships and sustain growth and impacts. A useful private foundation research and funding project may offer additional perspectives on how other anti-violence grantmakers are ascertaining and addressing funding needs. From 2007-2009, Blue Shield Against Violence drew input from California agencies on needs in the field and grantees’ own needs. The result is a new funding paradigm designed to respond to the reality that agencies are striving to do more with less. While not all the options or methods can translate to government funding pools, the research and needs definition process may help all fund administrators consider how to assess priorities and update funding RFPs to respond to current needs. A funding process that incorporates innovation and awareness of current field and agency needs allows for inclusion of funding to 3-Tier and emerging populations. In designing funding cycles, RFPs, and technical assistance that are dynamic and flexible, we can respond to a diversity of needs while fostering innovation, core services, and field advancement. By fostering partnerships amongst funders and grantees, we can work together in serving survivors and working to end violence – as part of a larger movement of accountability, hope, and change. -Support and inspire staff in creative thinking. -Lack of time and resources to develop extensive relationships with CBOs. -Review the resources highlighting the strides made in the Strong Field Project in California, and consider using their strategies to map the leadership, organizational capacity and network/strategic collaborations of the communities you are attempting to reach, and do the same for your STOP Implementation team. Consider what skills and strengths are already at the Implementation table that can be used to coach and enhance the capacity of CBOs via conference call or webinar at lesser cost than face-to-face training on such topics as submitting successful grant applications and government grants management. Record and keep these conference calls or webinars on your website in order to allow each access and to avert the need to repeat this training over and over again. -Look to national technical assistance providers to assist or serve as speakers in training for CBOs as a part of their technical assistance projects. -Seek partnerships with other government entities to co-host training and tutorials on topics of interest to common constituents or to serve as guest speakers in STOP Office programming for CBOs. -Reinforce the importance of partnerships for CBOs who might come together to apply for grants to maximize funding through joint projects. Facilitate a discussion among CBOs about unique, strategic approaches that they can take to better maximize government funds, or to seek supplemental funding through private entities or other government funding programs. -Showcase successful CBOs who have improved their capacity to write winning government grant proposals, manage government grants, utilize other pots of funding to supplement and sustain the work, and effectively reach and serve 3-Tier populations.